Taylor Walker 2nd place medal and AUTOMATIC STATE QUALIFIER! The boy were in 8th and 9th place after the first round of 5 dives. The second round of 3 dives went very well and put both in serious contention for a medal at 5th and 6th place. Finally, the third and final round of 3 dives secured their top-six finish for a medal placing 5th and 4th with less than 2 points between them and a couple points shy of third place. Wilkerson leading the pack. Taylor moved up to second in the second round behind a strong performance by Danville diver Hackett took the lead. Taylor was able to hold on to her spot by hitting her final 3 dives better than she had all season. Taylor has steadily improved all season and needed to hit every dive as best she could in order to make the cut. It was very exciting, and it was difficult even for her coaches to hold back and take it one dive at a time. It is wonderful that she has earned this so early in her career. (all three of the Athens divers are freshmen) It is certainly not normal for freshmen to have such poise and skill. The swimmers travel to Williamsport on Wednesday and Thursday for the swimming portion of the District IV championship. Psych sheets should be out Monday afternoon. We expect to have a few individuals and some relays in contention for medals (top-6 finishes). 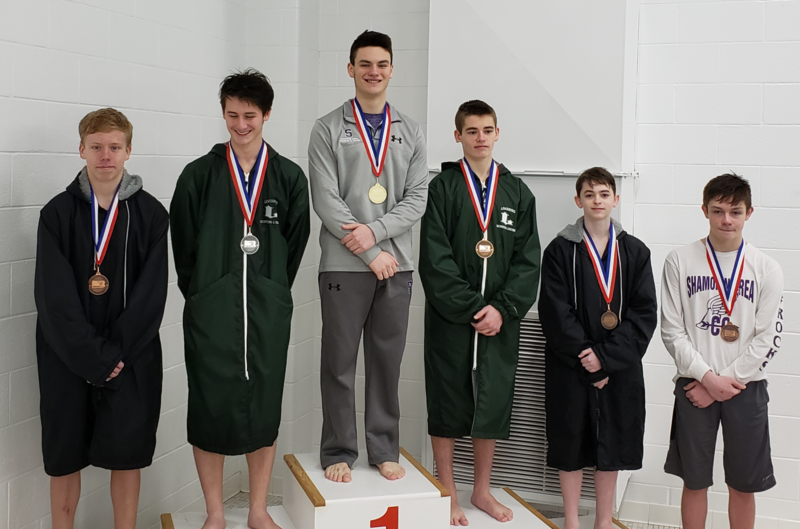 The PIAA State Championship meet will be held March 13th and 14th for AA swimmers and divers. Swimmers must finish first or meet a time standard based on the fastest times posted in the state.